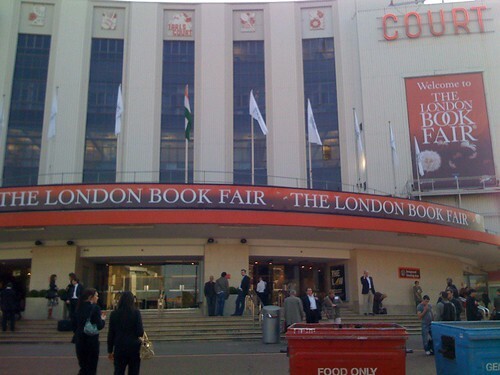 A few weeks ago I flew across the pond to speak at the London Book Fair. The panel* I was on focused on books and marketing in an online world. I talked about how traditional marketing is seen as just spam when it comes onto social networking sites (the “hi, want to be my friend? buy my book!” posts endear no one), and how authors need to genuinely participate and become part of the community online. On LibraryThing, there are a number of ways for authors and publishers to become involved. I talked about Early Reviewers, of course, but also Author Chats, LibraryThing Local (add upcoming readings! ), and our (upcoming) author interviews. I spent the rest of the fair walking around to publisher booths, inviting them to join Early Reviewers. We have a majority of the big publishers in the US participating, but only a handful in the rest of the world. Part of this trip was to attempt to remedy that, one country at a time (if LibraryThing wants to fund an Abby world tour, that’s fine by me)! I talked to many UK publishers, and hopefully we’ll see some books available to more countries on the Early Reviewers lists soon! And, of course, London was great fun. I’d only ever been to England on layovers before (meaning, I’d been to Heathrow, but not beyond the airport walls!). In the evenings I played tourist and walked all over the city. I only went inside a few places, but the highlight was definitely the underground The Churchill Museum and Cabinet War Rooms. *See Lance Fensterman’s (my fellow panelist and director of BookExpo America) post about the panel here, and the moderator, Chad Post’s here.